Whether you’re experiencing foot or knee pain, custom orthotics may be a solution for your discomfort. Jay Bhuta, DPM, at Ankle & Foot Doctors of New Jersey in Millburn, New Jersey, is an expert in foot and ankle care and can create custom orthotics to fit any foot or ankle need. Call the office today or schedule an appointment using the online booking tool to learn how orthotics can help you. The custom-made orthotics available at Ankle & Foot Doctors of New Jersey are medical devices prescribed by Dr. Bhuta to provide your feet with better support and comfort. Unlike the orthotics found at your local pharmacy, custom orthotics from Dr. Bhuta are designed specifically for you and your foot or ankle needs. Orthotics may also be recommended if you have diabetes to provide additional cushioning in your shoe to prevent the development of sores. Dr. Bhuta can also create orthotics for athletes to provide extra support to reduce knee or ankle pain. What can I expect during an evaluation for orthotics? Dr. Bhuta provides high-quality care when you come in for an orthotic evaluation. If you’re not already a patient, he conducts a thorough examination of your feet and ankle and reviews your medical history. Dr. Bhuta also observes your walk and stance to assess alignment and evaluate your support needs. He may also look at the soles of your shoes to see what part of your foot endures the most pressure. He then creates an image of your feet, which he uses to create your custom orthotics. What are the different types of orthotics? Rigid orthotics may be recommended if your foot is in need of additional support. Made from plastic or carbon, rigid orthotics work best in supportive closed-toe shoes. A rigid orthotic not only relieves foot discomfort, but may also improve body alignment and relieve ankle, knee, or back pain. 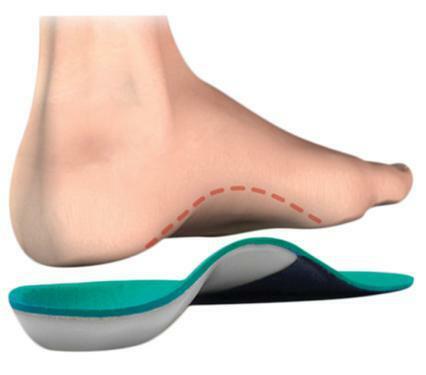 Soft orthotics are made from soft materials that provide extra cushion in your shoe. Dr. Bhuta may prescribe soft orthotics to reduce rubbing and the formation of corns or calluses for people with foot deformities. Soft orthotics may also benefit people with diabetes by reducing the development of foot sores or ulcers. To learn more about custom orthotics, call the podiatry expert at Ankle & Foot Doctors of New Jersey, or schedule an appointment using the online booking tool.